Strangely, documentary maker and investigative journalist Ross Kemp actually started out in the entertainment world starring in a long running British BBC soap opera. It was called Eastenders and Ross was playing an East London hard man (thug) called Grant Mitchell, it was from these humble beginnings that Ross Kemp started to build the TV tough guy reputation all British people know him for and carried over into his later documentaries. Of course in the soap his antics and character were purely fictional, but now Ross Kemp really does do tough guy stuff for real. Stuff like going around the world to meet and interview criminals, gangsters, human scumbags, and general unsavoury and nefarious types for his documentaries. Like his highly popular Ross Kemp Extreme World show which has been broadcast on UK TV since 2011 and has covered many issues including homelessness, illicit trade, drug addiction, violence, and poverty. In the video above he travels to India and speaks to a human trafficker, a so-called Mr Khan, from the Indian state of West Bengal. And the guy makes some truly disturbing revelations which would upset even the most unfeeling person. Human trafficker Mr Khan shows no remorse for what he does and talks about taking girls as young as 12 away from their families, mainly poor Muslim or tribal communities. He then auctions them to the highest bidder. In his seven years doing it he has trafficked around 3,000 to 4,000 girls. He also makes the hideous confession that if the girls try to run away, they are killed and then buried. And he admits to killing around four or five hundred. It's enough to make you weep and that's exactly what happens to Ross Kemp in the video, as he begins to breakdown at the horror of it all. Kemp explains in an interview with The Telegraph that Mr Khan is one of the most prolific traffickers. Kemp also explained how Khan tricks the girls into coming with him. "He worked as a honeytrap, so he’d go into a village; shower a girl and her family with gifts." Kemp says. "He’d say he was going to take her away somewhere lovely, but as soon as he had her on a train she’d be drugged. She’d wake up in a bed and be gang raped, then forced into prostitution through shame, without the ability to get back home. Even if she did make it home, would she ever be accepted by her family again? I’m not supposed to judge, but this was one of the times I found it very hard not to. He was trying to justify the killing of these girls by saying he would have been killed himself if he didn’t do it. He had gold rings on his fingers, a very nice car, and some bodyguards with him. After the interview I just had to say ‘get him out of my sight’. I had so much loathing for the man, I can’t tell you." It's all very grim stuff. 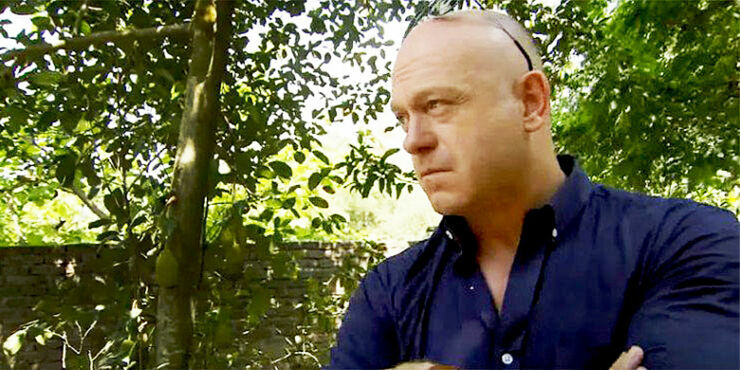 In another video released from the same episode, Ross Kemp talks to an Indian police officer and her team who are attempting to stop these human traffickers. But, despite her passion for the role she has to battle against a legal system that doesn't seem to care and a complete lack of resources. You just hope she's able to get some more funding somehow. Ross meets with a police officer who leads a team of people trying to stop trafficking - Video via Youtube. Along with interviewing the world's worst (and most admirable) human beings, Ross Kemp is also a complete maniac when it comes to facing off with armed guerrillas in the jungle. As can be seen in the video below when Ross and his cameraman were ambushed and threatened that they would all be shot. Kemp, displaying some true bravado and hard man insanity, mediates the situation by being confrontational to the max. If grabbing your aggressor's gun (and yes, this isn't acting going on here) and putting it to your head and saying "you gonna kill me?" is all part of the documentary filming process then i hope Ross Kemp is being paid enough. It's an incredible scene that takes some real guts and explains why Ross Kemp Extreme World is so popular. 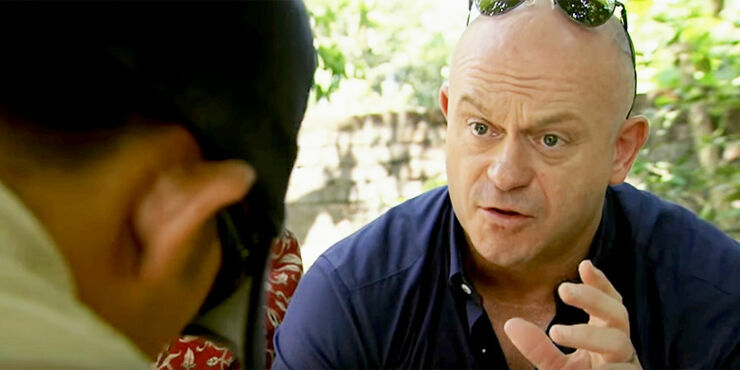 Ross Kemp proves he really is a bit of a hardman/nutcase/brave guy - Video via Youtube.